So this months Nailbox has arrived and its a good one - probably my favourite one I've had. This month came with 5 different products, one more than the other boxes I've received, and they are all great picks. There is a tropical/summer theme with this box which is a great addition considering all the rain we seem to be having. 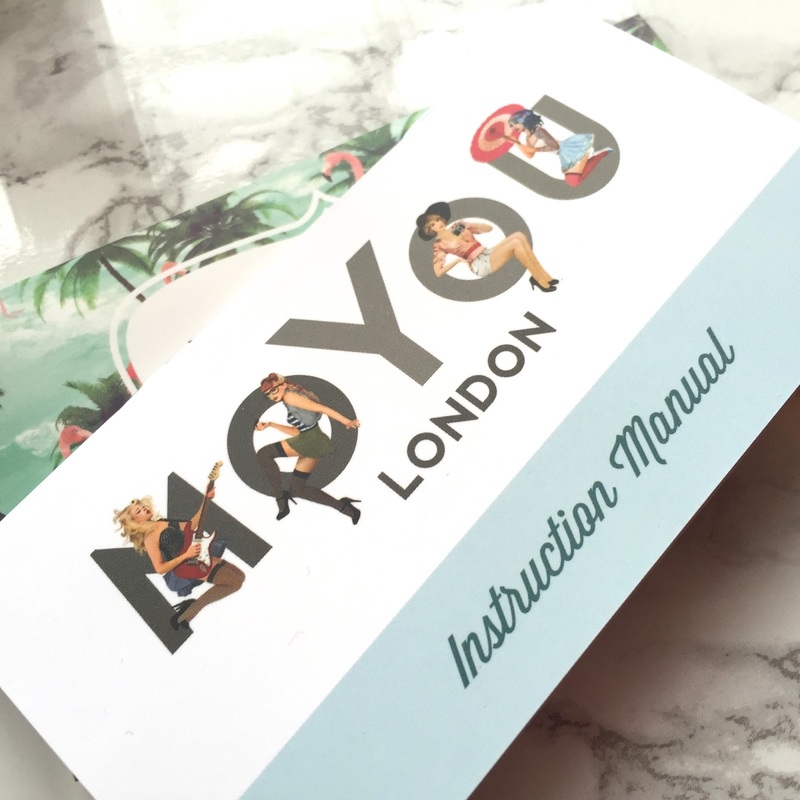 The first thing I am excited about in this months box is the MoYou London Nail Stamp set. I've read about nail stamping many times before but never tried it out - I love having nail art on my nails, when I have the time to do it! Nail stamping is the art of putting nail polish on a metal sheet with a pattern on, scraping off the excess and then using a spongy rubber stamp to print the pattern on your nail. 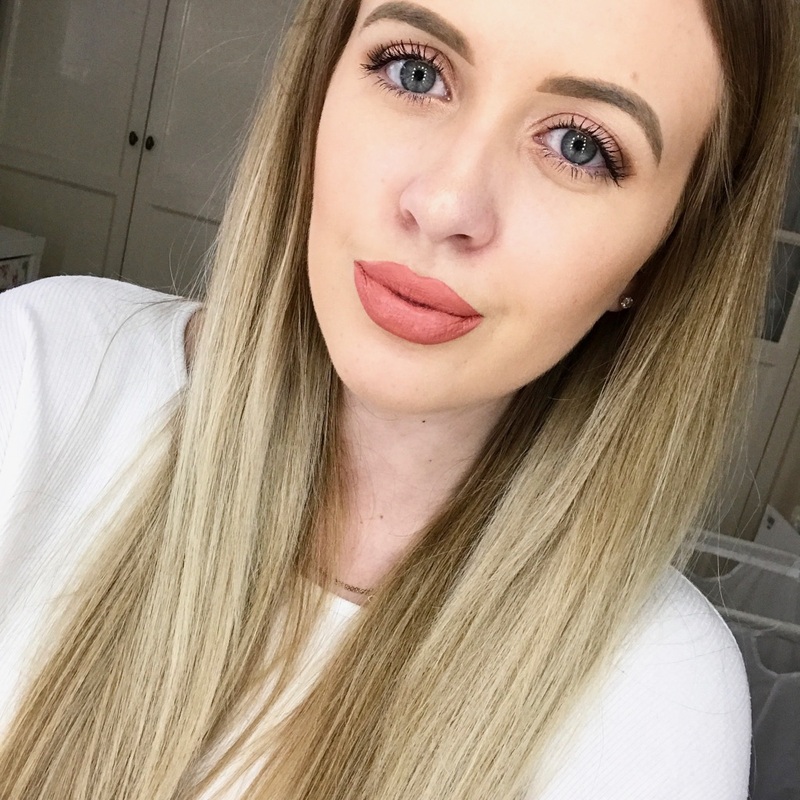 I've not actual tried out the technique yet but once I have i'll put up a more detailed post on the step by step guide. 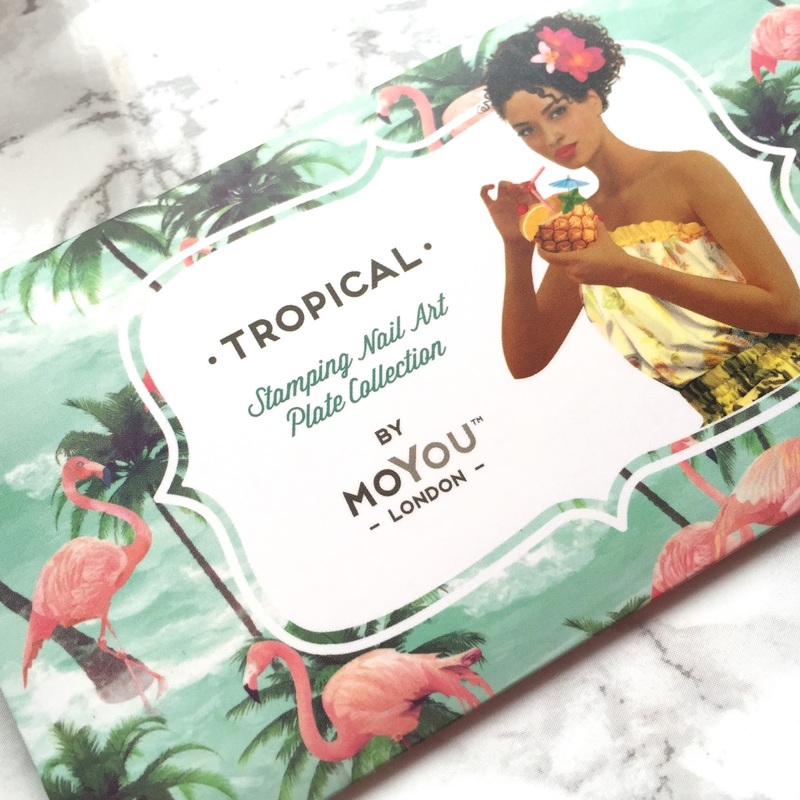 In the nailbox I got the Tropical Collection (12) which has a range of palm trees and leaf patterns. The pack retails at £4.99 so its a great pick for the box and would work great as a gift for a nail lover. In the box this month I got three different nail colours and can see them becoming some of my favourite colours already. Barry M Speedy (£3.99) in Need for Speed (you can read about my other Barry M Speedy colours here), this is lovely violet shade. I love purple nails as they are still girly but still a bit different from standard pink colours. Another great addition is the White on White shade from China Glaze (£4.80). I love wearing white nails and probably end up buying a new bottle every couple of months so this is a great pick for me. The final shade is a lovely warm pink shade from OPI (£7.89) called Kiss Me I'm Brazilian. I'm becoming a real fan of OPI colours now that I keep receiving them in my Nailbox. 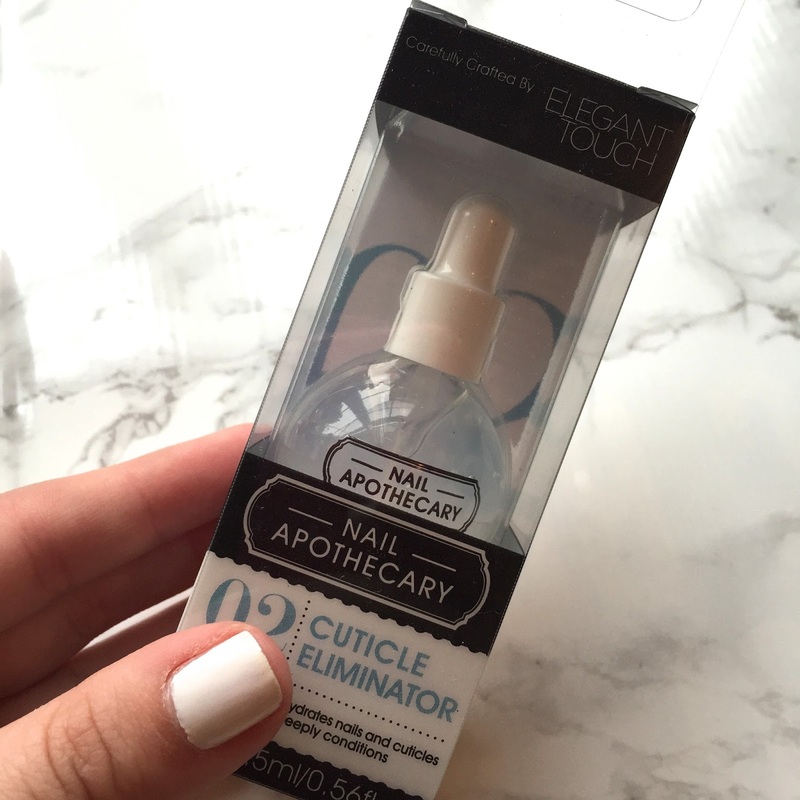 The final product in my box was Cuticle Eliminator from the Elegant Touch Nail Apothacary (£7.95). This is a product I would never dream of buying myself but I am glad I got this as I don't take care of my cuticles enough. This product is a gel which softens dry, ragged and overgrown cuticles to allow them to be pushed back effortlessly and painlessly. So that was July's Nailbox, the total of all the products amounts to just under £30 so a great selection for the price of £15 for the box. Do any of you receive a Nailbox?! This is such a good box! Great value for money too I really need to sign up!